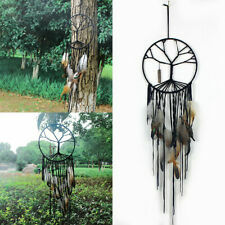 1 x Hanging Dream Catcher Jeweley. Fantastic Moral: Nightmare pass through the holes and out of the window; the good dreams are trapped in the web, slide down the feathers to the sleeping person. Material: Goose feather white pearl satin thread cotton thread. Besides,it'a also a good gift for friends for made by professional works. Color:As the picture shown. The dreamcatcher is popular for its unique design and high quality. 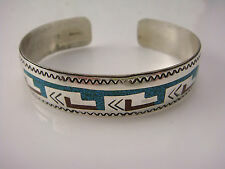 Material:rope, turquoise. Due to the difference between different monitors,there are color differences,pls take the real product as the standard! Dream Catcher - Nightmare pass through the holes and out of the window; the good dreams are trapped in the web, slide down the feathers to the sleeping person. 1 x Dream Catcher. Material: feather lint wood beads. 1pcs DIY kit dream catcher. DIY kit dream catcher. Note: IMPORTANT - not for children under 3 years. We Do Not accept large sums of money by E-Check (Electronic Check). Note 2:The color may be a little different depending on your monitor. Type: Dream Catcher. Material: Nylon and Feathers. Weight: 65g (approx). We believe that everything could be solved by communication. You may also like. 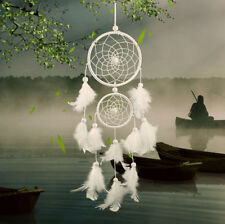 Dream catcher filters it, so that only a beautiful dream can enter our dreamland. 1 Dream Catcher. the feathers, and the nightmare will be trapped in the net. In the next morning, the sun shone in the early morning. The Pouch has a brass Hudson's Bay button sewn to the front. There is an old mark impressed into the back lower right hand corner that looks like and "R" with a horizontal "V" attached to the "R" left side. Fantastic Moral: Nightmare pass through the holes and out of the window; the good dreams are trapped in the web, slide down the feathers to the sleeping person. Material: Goose feather white pearl satin thread cotton thread. More Art than artifact this appears to a handle or connector piece heavily and expertly incised with the parallel and ticked lines indicative of the Bering Sea's Punuk Period which ranged from the 9th-15th century. 1x dream catcher. Product Type:dream catchers. Material: Wicker. big circle: 15 cm. 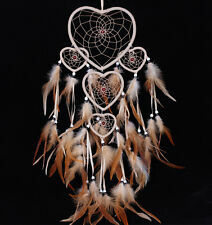 Products: dream catcher. Included:1 x Dream Catcher. All the nightmare will stay on the weaving network, disappear in the first ray of light in the dawn. Material: iron ring feather polyester thread beads. Type: Dream catcher. 1 x Dream catcher. Material: Feathers, beads,Cotton thread,Ring. Color: Pink. Occasion: Living room,Office,Nursery,etc. Detail Image. The color may have a little different from the shows,pls understand. 200 PCS ARROWHEADS LOT ART COLLECTION FLINT STONE ARROW PROJECTILE POINTS NATIVE. THESE MULTI-COLORED BIRD POINT ARROWHEADS ARE HAND-MADE HIGH GRADE POINTS! EACH ARROWHEAD IS UNIQUE IN CHARACTER AND EVERY PIECE YIELDS BEAUTIFUL FLAKING SCARS! Type: Dream Catcher. 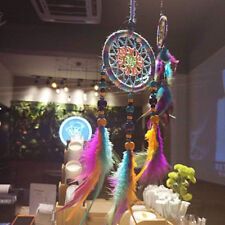 1 x Hanging Dream Catcher (other accessories demo in the picture is not included.). And the sweet dream can be passed down and down to the sleeper's mind. All nightmares will remain in the woven web, and disappear into the first light of dawn. Dream Catcher 1x Dream Catcher. Material: Hoop ABS Beads Feather Polyester Thread Leather. Color: Blue Purple Brown (Mix color). Feature: Great Decoration, Perfect Gift. You may also like. 1x Dream Catcher Decor. Material: Thread Velvet Beads. Color: As the picture shows. Detail Image. It is said that both good dreams and bad dreams circulate in the night air. Canada, United Kingdom, Austrilia, France, Germany, Spain, Ireland, Italy, Others. Dream Catcher - Nightmare pass through the holes and out of the window; the good dreams are trapped in the web ,slide down the feathers to the sleeping person. Material; Suede and feathers. Total about 27" in long inculding the hanging string (the string is about 4' and the rest is about 23"). 1pcs DIY kit dream catcher. DIY kit dream catcher. Note: IMPORTANT - not for children under 3 years. We Do Not accept large sums of money by E-Check (Electronic Check). 2 Different fibres and laces in peach, ivory colorswooden beads l ovely gold glitter feathersplastic needle and instruction. Nous vous prions de nous excuser pour tout le retard des réponses pendant les vacances. Total about 25.5" in length including the hanging string Dream Catcher - Nightmare pass through the holes and out of the window; the good dreams are trapped in the web ,slide down the feathers to the sleeping person. 1 x thermal transfer heat transfer. Applicable scopes: t-shirt, dress, shirt, skirt, jacket, jeans, bag. If you encounter any trouble. 1 x Glow in dark dream catcher. Type: Dream catcher. Material: Fluorescent line, Fluorescent bead, Feather. Occasion: Bedroom. Color: White. Detail Image. The color may have a little different from the shows,pls understand. 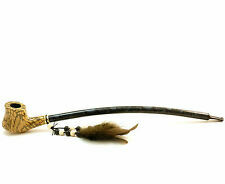 (1) Material: knitting wool, iron ring, wooden bead, feather. (3) Product use: Suitable for bedroom, living room, upholstery, wedding decoration, etc. (2) Size(approx.). checkout, it can't be changed once order completed. THESE BLACK OBSIDIAN BIRD POINT ARROWHEADS ARE HAND-MADE HIGH GRADE POINTS! 50 PCS ARROWHEADS LOT ART COLLECTION FLINT STONE ARROW PROJECTILE POINTS NATIVE. EACH ARROWHEAD IS UNIQUE IN CHARACTER AND SIZE AS ITS HANDMADE! Wall Stickers. Car Worklight. Christmas Gift. Good gift for the families and friends. Flood Light. LED Light Bulb. New and unique design with high quality. If you encounter any trouble. Hopi Katsina (kachina) Figure, "Mudhead," initialled "GT"
35 PCS ARROWHEADS LOT ART COLLECTION FLINT STONE ARROW PROJECTILE POINTS NATIVE. EACH ARROWHEAD IS UNIQUE IN CHARACTER AND EVERY PIECE YIELDS BEAUTIFUL FLAKING SCARS! THESE MULTI-COLORED BIRD POINT ARROWHEADS ARE HAND-MADE HIGH GRADE POINTS! EACH ARROWHEAD IS UNIQUE IN CHARACTER AND EVERY PIECE YIELDS BEAUTIFUL FLAKING SCARS! 20 PCS ARROWHEADS LOT ART COLLECTION FLINT STONE ARROW PROJECTILE POINTS NATIVE. THESE BLACK COLORED BIRD POINT ARROWHEADS ARE HAND-MADE HIGH GRADE POINTS! 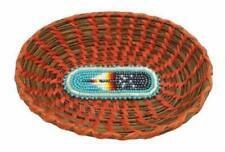 Very early example of a Pima basketry deep tray that looks to be a cooking bowl. Made of willow and devil's claw all on a coiled bear grass bundle with a round start and a classic herringbone devil's claw rim. 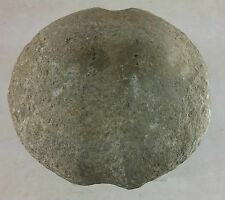 It has a bone concho added sometime long ago for hanging. Can be easily removed if desired or left as an artifact of this basket's personal history. A classic and authentic historic example worthy of any collection from growing through museum grade and it has NO RESERVE !. 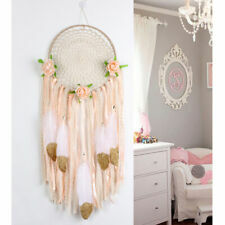 Item: Dream Catcher. Included: 1 X Dream Catcher. Material: Iron Hoop Feather Terylene String Beads. Those nightmares are mounted in the net, then disappear at the first light of dawn. It is said that both good dreams and bad dreams circulate in the night air. TWELVE AUTHENTIC MISSISSIPPIAN CHERT MICRODRILLS FROM THE COLLECTION OF MARION DICKSON, FULTON CO., ILLINOIS. STARTS AT 5.99. IT IS A NEW, UNUSED COPY WITH 392 PAGES, 221 IN COLOR. STARTS AT 5.99. FOUND IN COSTA RICA AND DATING IN THE 600 AD RANGE, THE VESSEL EXHIBITS 3 GARGOYLE - LIKE FACES, ONE BELOW THE RIM AND TWO OTHERS OPPOSITE ONE ANOTHER ON THE LOWER EDGE. THE SINGLE HANDLE HAS THE EFFIGY OF AN ANIMAL. Very precise carving and a stunning stone polished finish. Vickie is the daughter of Barbara Martinez and sister of Sammy Naranjo, Chris Martinez & Manuel Martinez. Artist: Vickie Martinez Tafoya - Santa Clara Pueblo. Dream Catcher - Nightmare pass through the holes and out of the window; the good dreams are trapped in the web ,slide down the feathers to the sleeping person. Color: White. Dream Catcher - Nightmare pass through the holes and out of the window; the good dreams are trapped in the web, slide down the feathers to the sleeping person. Material: hoop ABS beads feather polyester thread bell. Dream Catcher - Nightmare pass through the holes and out of the window; the good dreams are trapped in the web, slide down the feathers to the sleeping person. 1 x Dream Catcher. Material: cotton thread feather.